West Burton Falls is a very scenic waterfall close to the village of West Burton in the Yorkshire Dales. West Burton itself is a small village in Bishopdale, one of the smaller dales that runs into Wensleydale close to Aysgarth. 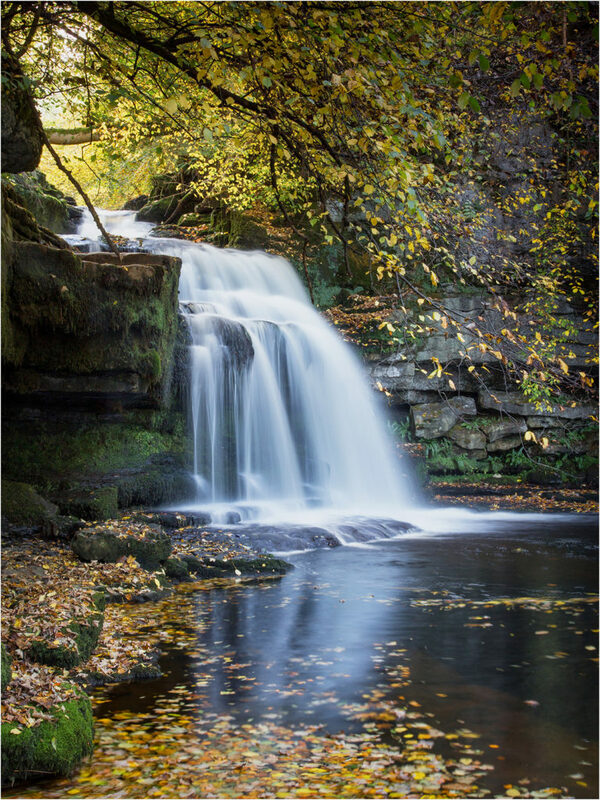 The falls, which are also known as Cauldron Falls, can be visited very easily with a couple of minutes stroll from West Burton. The main road through Wensleydale is the A684. Just over 1 mile east of Aysgarth, turn off the A684 and head south on the B6160 (Ellers Lane). After 1.5 miles, where the main road makes a right angle turn, keep straight on onto Back Nook. This leads to the village of West Burton. There is ample parking anywhere around the central village green. The waterfall is signposted from the north end of the green and is reached after just a couple of minutes walk upstream. Posted in Yorkshire and tagged Waterfall.